The Islam Awareness Blog: Christianity: Is it a hoax? Jesus was a Jew. Everyone knows that, don't they? Well, it would seem that they do and they don't. It is certainly not the view of most Christians, nor is it common knowledge among atheists or even Jews, that Jesus was to the brim a Jew, not incidentally or as a matter of temporal accident a Jew, not, in Jonathan Miller's joke, Jewish, but a Jew by faith, by temperament and by spiritual ambition; a Jew in his relentless ethicising, in his love of quibbling and legalistics, in his fondness - frankly, to the point of tiresomeness sometimes - for extended metaphors and sermons wrapped in parables, and in the apocalyptic urgency of his teaching. A Jew, in other words, on unambiguously Jewish business. Jesus's Jewishness is as essential to Christianity as it is embarrassing. To Christians, Jesus was the Messiah - itself a Jewish concept - whose coming had been foretold in Jewish scripture for centuries. It is Jewish history that Jesus fulfils. How many of us, when we join in Handel's Messiah, raising our voices in Messianic exultation, know the origins of the words we sing? "For unto us a child is born," sounds wholly Christian to us now. As a Jew myself, though I love the Messiah, I balk at the churchy rejoicing in that verse - "and his name shall be called Wonderful, Counsellor, the mighty God, the everlasting Father, the Prince of Peace" - but the words are taken from The Book of the Prophet Isaiah, the Old Testament not the New. For Christians, Jesus was there (and needed to be there) well before his actual coming, in the fervid longings of a people who had suffered exile, dispossession and, at the time of Jesus, occupation. He was what the entire Old Testament had been leading to. He closed that story in order to tell another. Messiah does not mean son of God. Nor did Jesus ever claim to be the son of God. The idea would have been a nonsense to him. 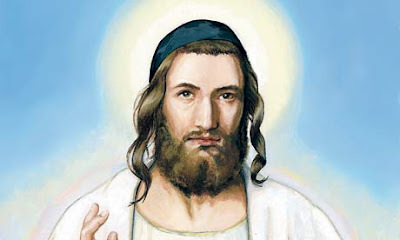 The God of the Jews is indivisible, capable of refulgence - a shekhina, a shining presence - but not incarnation. The long-awaited Messiah (the word simply means "anointed one") would prepare the way for God, not assume the title of a God. He was to be an eschatological prophet, a preacher of the end of days, a soldier of liberation in the royal line of King David. It was in order to show that Jesus fulfilled this latter but most essential part of the prophecy that the apostles came up with such labyrinthine and competing reasons for him to be born in Bethlehem, the birthplace of King David, and that Matthew employs the opening 25 verses of the New Testament - through a plethora of begettings: Aram begetting Aminadab, Achaz begetting Ezekias, Eliud begetting Eliezer - to establish Jesus's line of descent, not only back to David but to Abraham. Thus begins the Christian Bible: bending over backwards to prove beyond dispute Jesus's impeccably Jewish bloodline. As though being the son of God is not genealogically enough. It is later, with his deification, that the Jewish blood has to be squeezed out of him again. Judged Messianically, Jesus is a failure to the Jews. He neither liberates their land from the Romans nor brings in God's kingdom here on earth. To Jews - and this point hardly needs to be laboured - the world remains unredeemed. Christians turned Jesus's material failure into a spiritual success. God's kingdom is to be found elsewhere, they say. That is the meaning of the crucifixion. By this quibble on the idea of salvation, the early Christians achieved two notable successes: they turned what Jesus had not achieved into something Jews could not understand, and they doomed Judaism to a reputation for materiality. The invention of the silver-grabbing Judas - a figure today undergoing revaluation from all sides, even in the Vatican - helped in this. As did the exculpation of his moral counterpart, Pontius Pilate. In proportion as the name of Judas sank, so did that of Pilate rise. Though a governor of bloody reputation, Pilate was turned by stages into a man of sorrowing conscience. It was the "Jews" who called for Jesus's destruction - though there was scant reason for them to do so - while Pilate washed his hands. In this way, though the crucifixion will come to be susceptible to the most subtle and sublime theological interpretations, the events leading up to it take on the melodramatic qualities of pantomime - good versus evil, the material versus the spiritual, the innocent gentile world versus the perfidious Jewish one. There is no point in crying theft. Every religion is an act of expropriation of some sort. And monotheistic faiths in particular exist as refutations of one another. There's the drawback of Only One God - ours knocks out yours. So it is vain to ask for Jesus back. But the purloining of him has had deadly consequences. Jew-hating didn't occur by mischance in the history of Christianity - it is inscribed in it. Because Jews attested negatively to the power of Christ they were worth keeping alive in their spiritual poverty; but because they killed Christ they were expendable too. Ours is not a peaceable world, but it would go a way to restoring harmony in some parts of it were Christianity to acknowledge responsibility for the anti-Jewish crimes committed in its name. Admitting the consequences of its falsification of the Jew Jesus would be a place to start. Funny that people dont know this fact and many other facts that may actually make them doubt Christianity. Jesus (pbuh - Muslims have to add pbuh with the name of their prophets. pbuh means peace be upon him. Jesus was a prophet according to Islam.) never said that he is God or son of God. He just asked people to stop distorting the religion and follow it properly. The first time the disciples of Jesus (pbuh) were called Christians was in Antioch. That was a derogatory term but it still meant that his followers were jews. Lets hope people open their mind and start thinking.